By mid-April, the number of blue safety phones on campus will have nearly doubled — and they come with added features. The blue phones are already a common sight on campus. They connect individuals in need with security or RCMP members who are then able to respond to security situations which arise. Campus security has announced that 40 new blue phones are to be installed at strategic locations across campus, replacing the current 20. Thirty-five of these will be functional by mid-April, while the remaining five have been delayed due to construction. Each blue phone will be equipped with an incident-driven camera, meaning that when someone uses the phone, the camera will automatically be activated and begin recording. 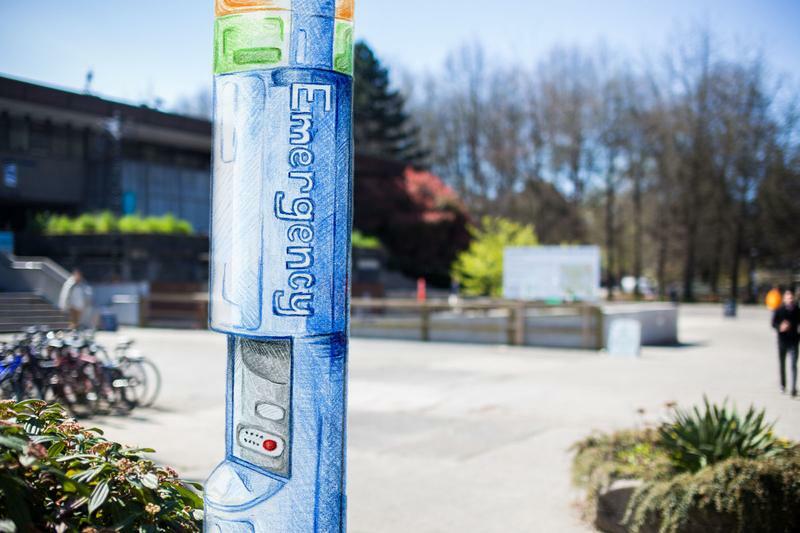 UBC Campus Security’s director Barry Eccleton said that this function allows security to gain situational awareness and therefore better respond to a call. Along with the new blue phones, cameras that will record 24/7 are being positioned at the bus loop. Their film will only be examined when forensic purposes call for it. The use of all of these new cameras will be governed by a newly-approved safety and security camera policy. Policy 118 was created after the Campus Safety working group — formed last year as a result of the series of sexual assaults — recommended increasing the number of blue phones with cameras. To do so, the university needed to create guidelines on how security cameras should be used on campus. The policy has been designed to ensure that all cameras used on campus will be used in ways that balance both the safety and security concerns of people on campus. Previously-existing cameras have been given a six month grace period to conform to the standards imposed by Policy 118 and apply for approval. After the grace period is over, every single camera on campus will have gone through a strict process to be approved. Once approved, the completed application for each camera explaining the logistics of its usage will be posted online. The AMS expressed its support for Policy 118 when it was still just a proposal. Eccleton is also happy with the policy and thinks the new blue phones and cameras are a positive step for campus security.